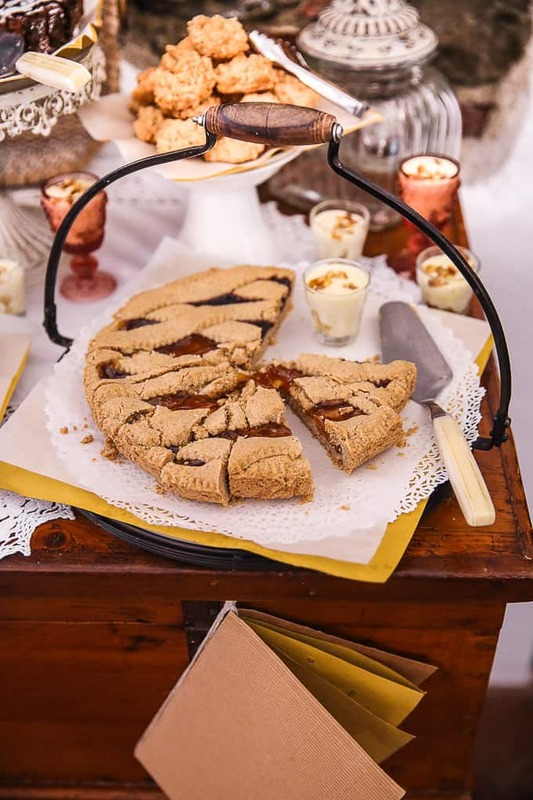 Hotel Abbadia San Giorgio is an elegant historic hotel in Moneglia, one of the prettiest villages in Italy. 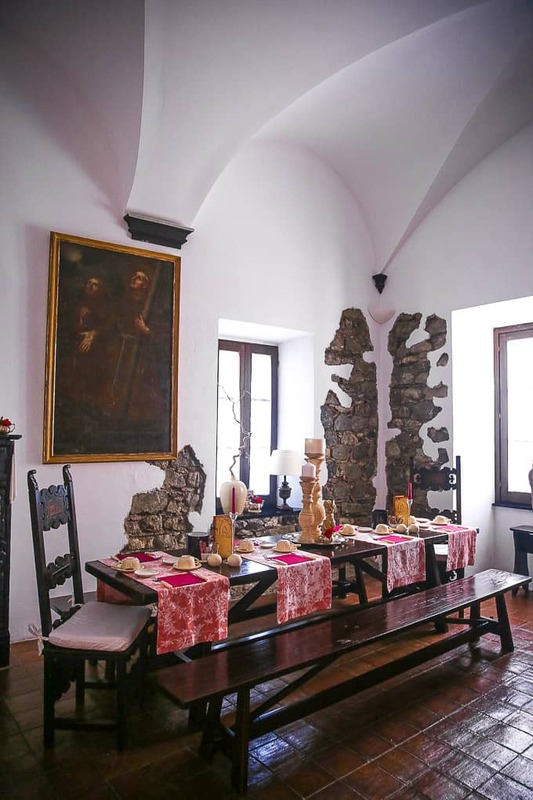 The hotel is located in a former monastery built by Franciscan monks in 1484. The hotel rooms are completely renovated, yet the history of the place is preserved. Beautiful building. 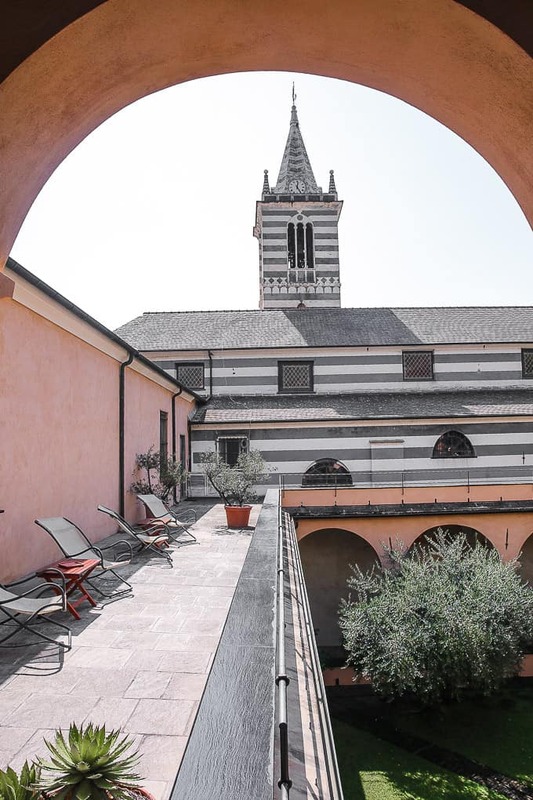 Abbadia San Giorgio is a boutique hotel set in an old monastery with a small number of gorgeously designed rooms. 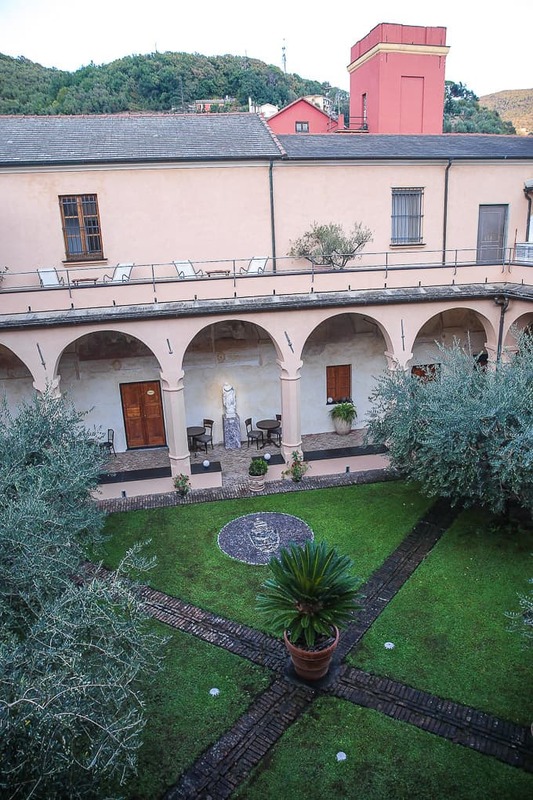 The hotel has a cloister and a beautiful inner garden. 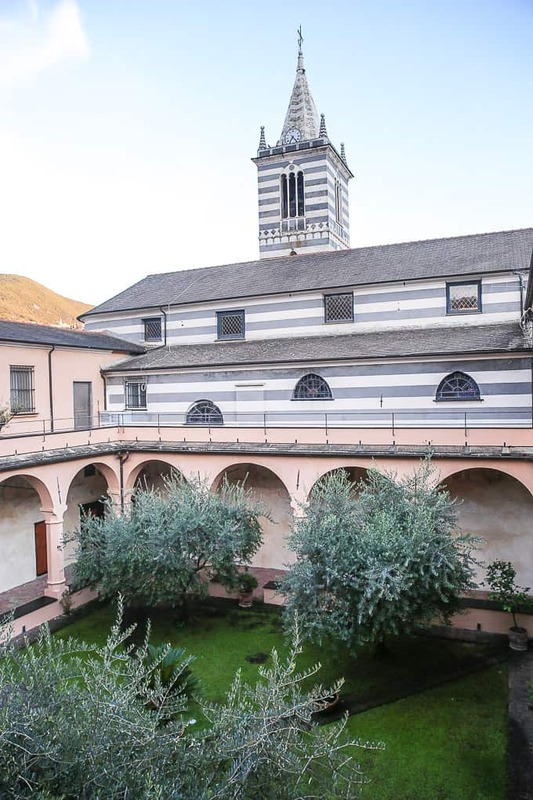 Whenever you leave the hotel room, you face the inner courtyard of this beautiful former monastery. Strategic location. 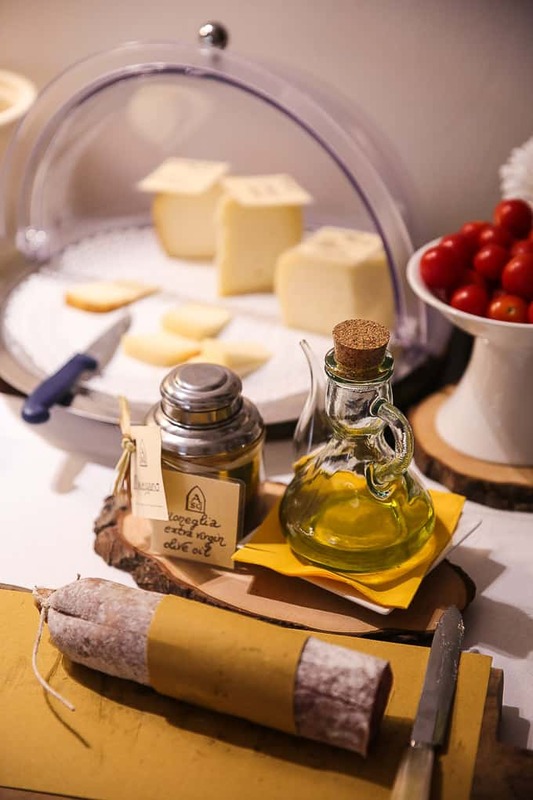 The hotel is strategically located in the heart of the historic town center of Moneglia. Moneglia itself has been added to the list of the most beautiful villages in Italy. Many things to do. 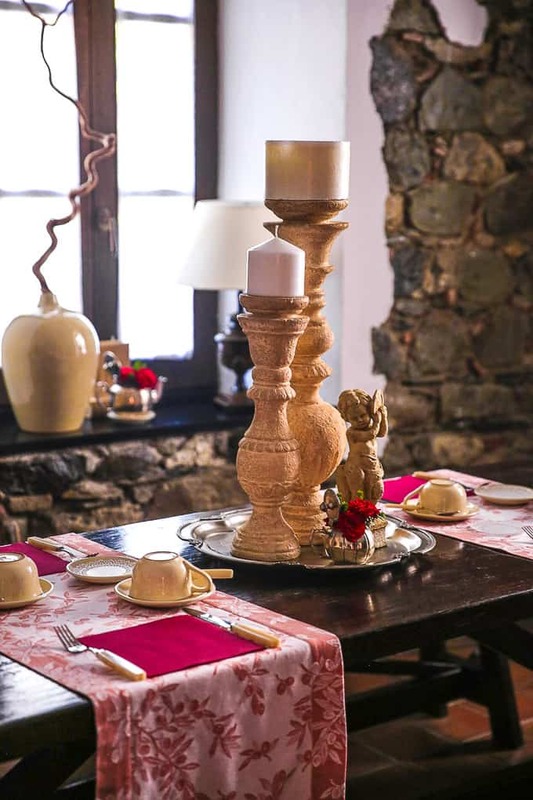 If you’re planning to visit Cinque Terre or Portofino, this is the perfect hotel to stay. The train station is only a few minutes away from the hotel. It will take about 30 minutes to get to Cinque Terre by train. It takes only 1 hour by car to drive to Portofino from Moneglia. 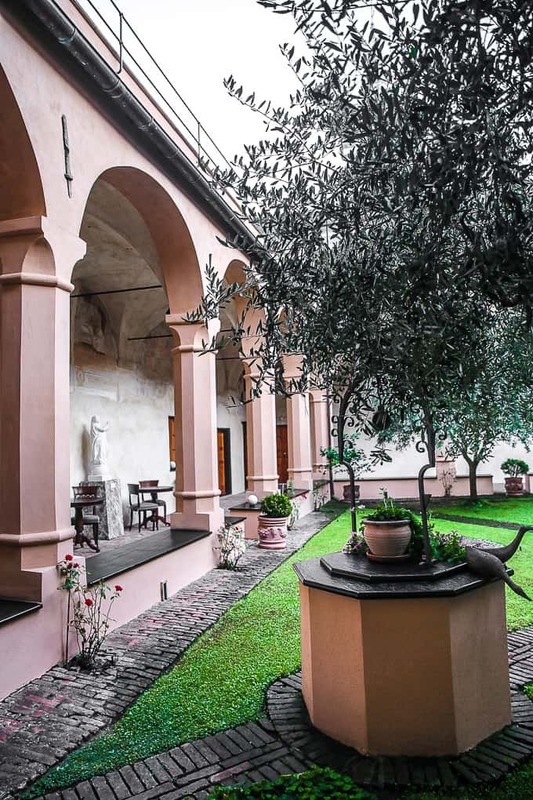 Hotel Abbadia San Giorgio occupies a former monastery built by Franciscan monks in 1484. 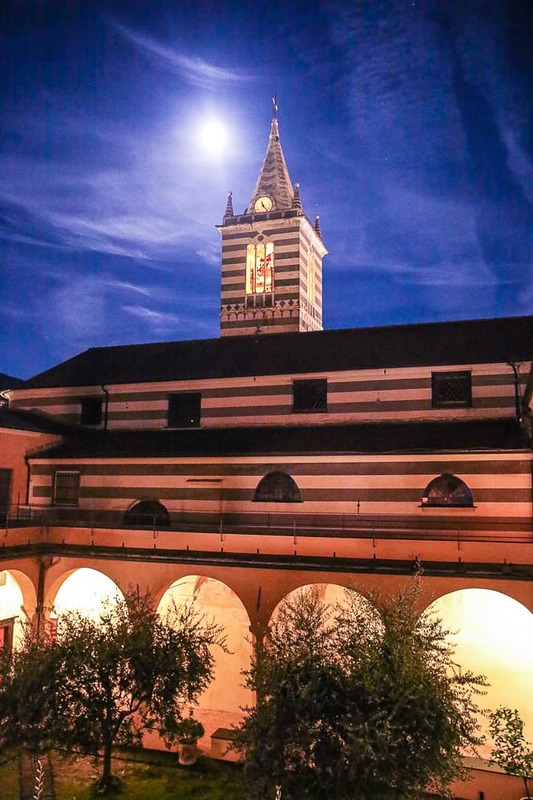 The hotel is adjacent to the Church of San Giorgio which has been built in 1396 by Benedictine monks. 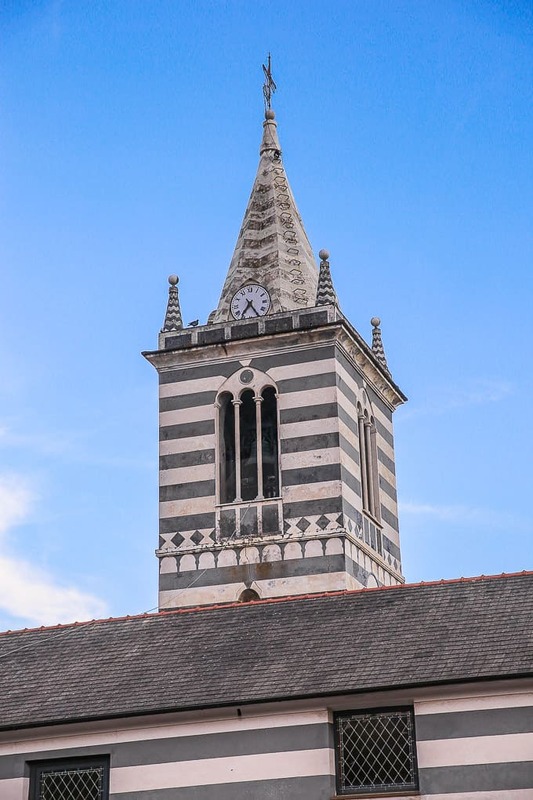 From the upper floor of the hotel, you can view the bell tower and a part of the church. 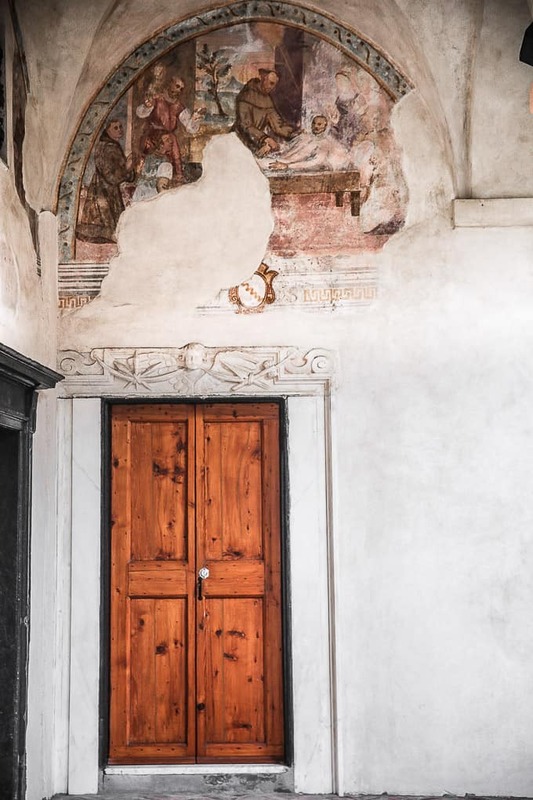 At the Abbadia, you will find the frescoes representing the scenes from the life of St. Francis of Assisi. Moneglia is an Italian village with a wonderful historic town center and a beach. Moneglia is located in Liguria, about 50 km southeast of Genoa. It is conveniently situated between Portofino and Cinque Terre. Moneglia has been added to the list of Italian villages included in “I borghi più belli d’Italia” (which means “the most beautiful villages in Italy”). 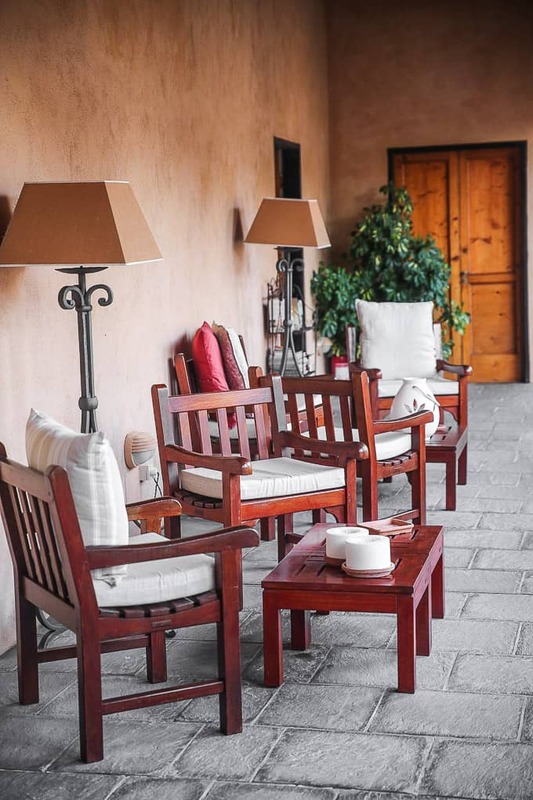 When we arrived at Hotel Abbadia San Giorgio, I was immediately impressed with its beauty and tranquility. Quiet area, beautiful architecture, thoughtfully designed rooms. I was so happy to be here. What’s even more impressive, however, is the high level of hospitality service provided at the hotel. Greta who is one of the owners made sure our stay was perfection itself! Greta was the perfect host, accommodating and very helpful. Her staff is wonderful, as well. The welcoming and friendly atmosphere at the hotel makes you feel like you are at home. 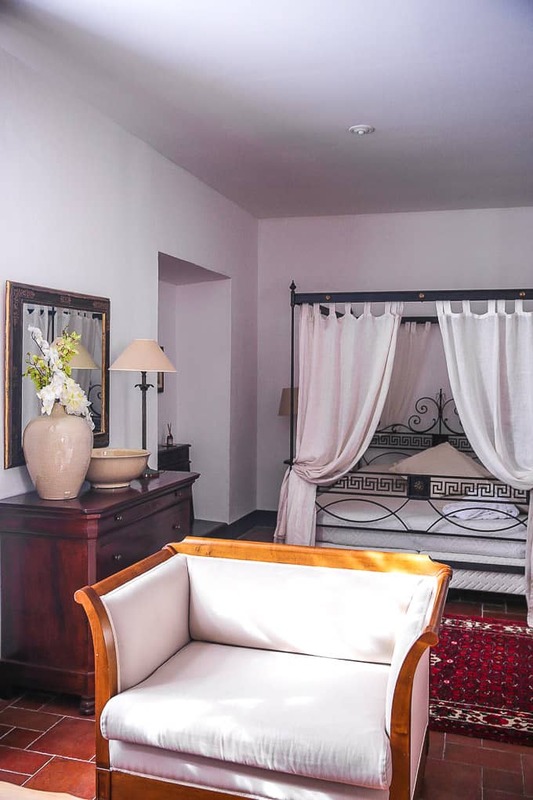 Also, the rooms are immaculately clean, the hotel grounds are very well kept and cared for. 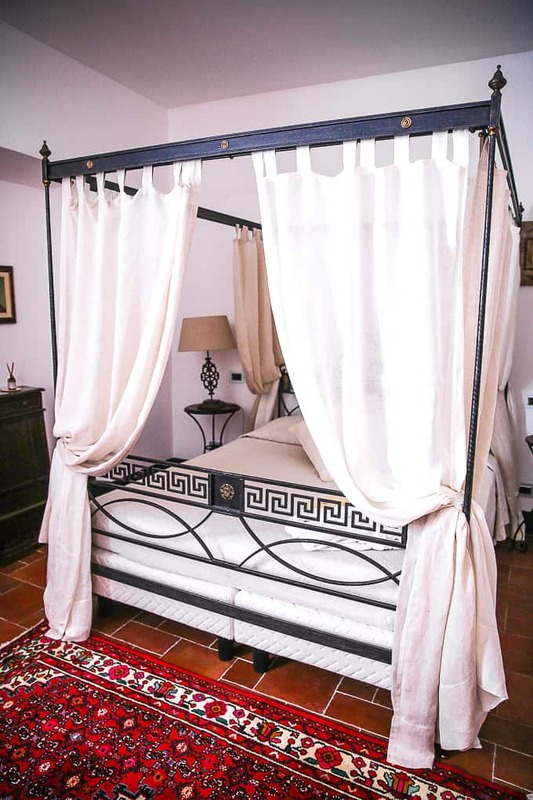 Staying at Abbadia San Giorgio was one of the best hotel experiences I ever had! I want to come back and spend more time there. Also, Greta was great at providing suggestions about what to do and where to eat in Moneglia and in the surrounding areas. It’s hard to forget Greta’s gracious hospitality and the amazing location of the hotel, and I really hope to be back to this oasis of tranquility. Close to Cinque Terre and Portofino. 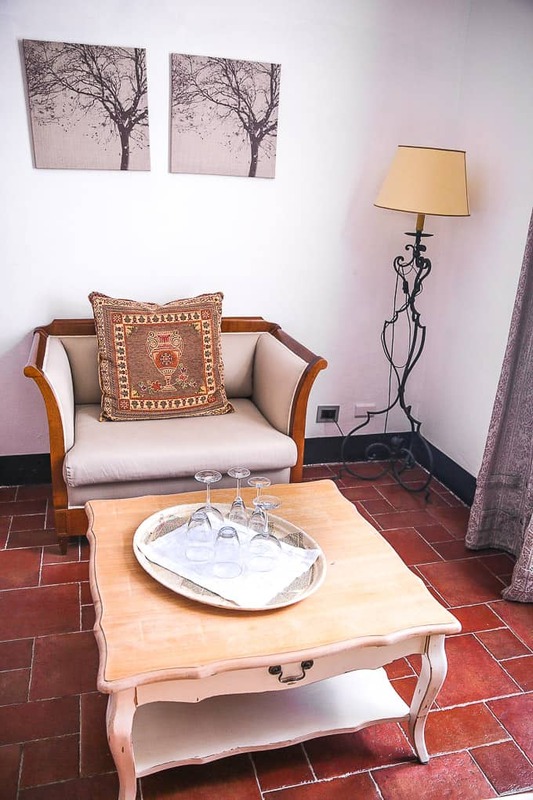 Hotel Abbadia San Giorgio is strategically located between Cinque Terre and Portofino. The hotel is only a few minutes away from the train station from where you can take a train to Cinque Terre. Perfect location for day trips. We took several day trips during our stay. It was very pleasant to come back to a peaceful hotel after a whole day of hiking in Cinque Terre or after a day trip to Portofino. The grounds of Abbadia San Giorgio are gorgeous! 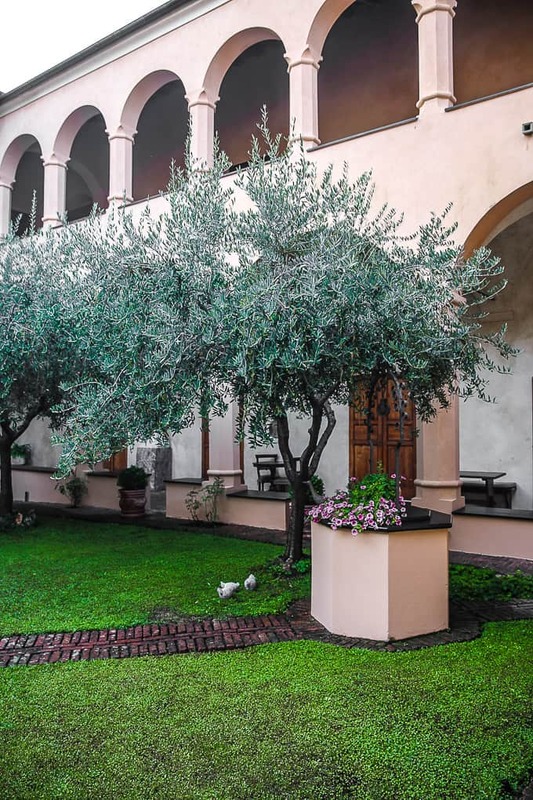 This former monastery has a cloistered inner garden, with the hotel rooms and suites located around the frame of the garden. Whenever you leave the room, you face the inner courtyard of this beautiful hotel. The spacious hotel rooms are unique and charming. The rooms are beautifully designed and equipped with everything you need for a comfortable stay! 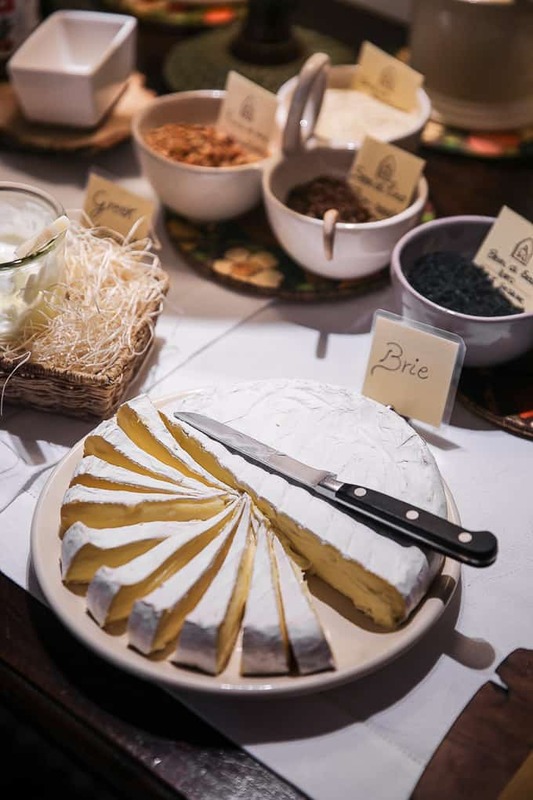 Breakfast is served in a beautiful room intrinsically designed to resemble the times long gone. You can have breakfast both indoors and outside, on the terrace. Every time I had breakfast, I felt transported back in time. Wonderful feeling! 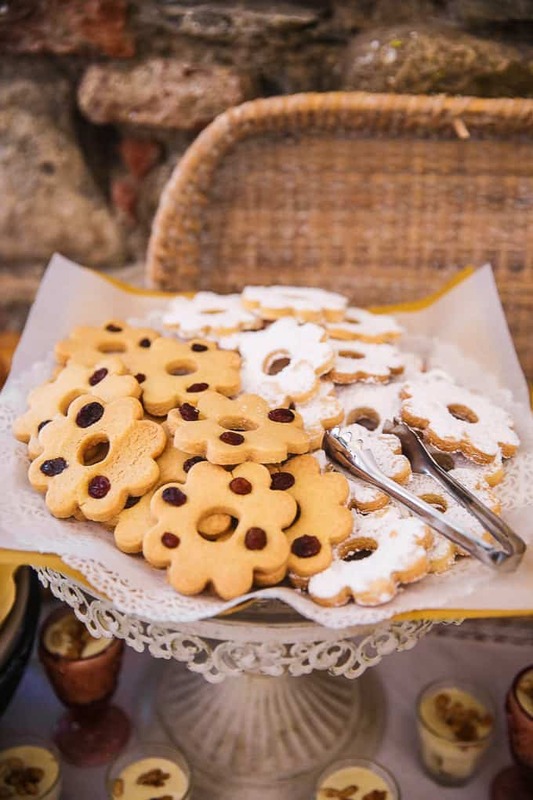 Breakfast has a great variety of freshly made goodies, such as cookies and cakes. We were served fresh orange juice, and the buffet provides a good variety of other breakfast food. 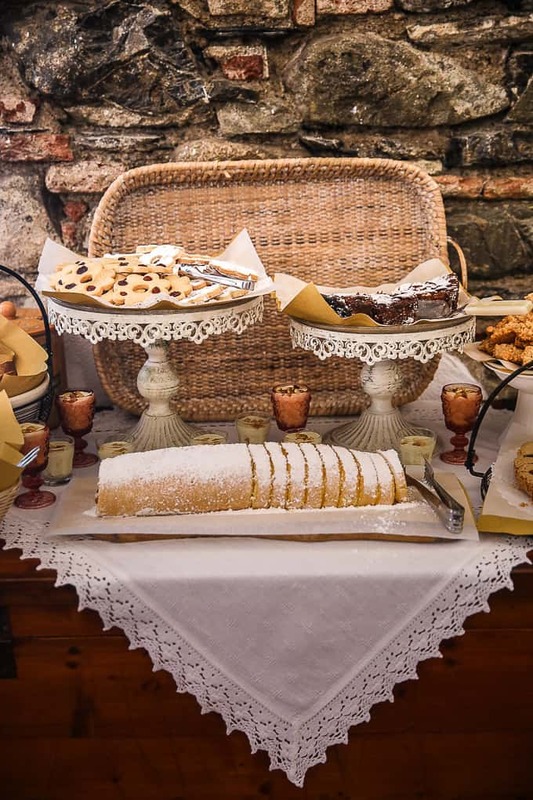 Hotel Abbadia San Giorgio has a very calming atmosphere both because of the tranquility of the place and Greta’s hospitality. Amazing service and very comfortable rooms create an unforgettable experience. I hope to be back to this authentic and unique place and experience the tranquility of the monastery again.